We were craving sandwiches this weekend. I think it must be the weather. When it gets colder outside we love hot soup and sandwiches inside. I went to the grocery store to get some deli meats and cheeses and some soup. It was good timing because Boar’s Head recently contacted me about doing a review of their premium meats and cheeses, of course I said yes. At Boar’s Head we start with only the finest ingredients available, just as we’ve done continuously for over a century. 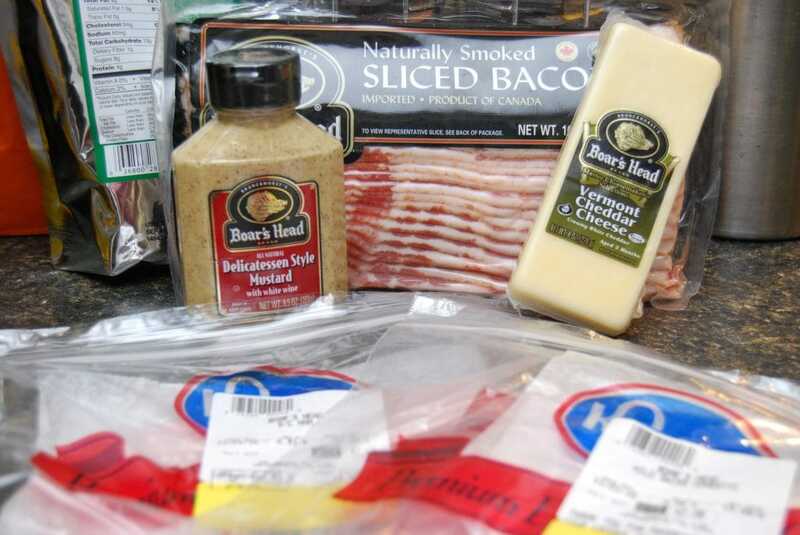 We are proud to say that our meats and cheeses contain no fillers, gluten, artificial colors, flavors or trans fat. We wouldn’t put anything in our products that you wouldn’t put on your own table. My main grocery store doesn’t carry Boar’s Head, but the Kroger store down the street did. I picked up some ham and Swiss cheese from the deli counter and found a large selection of meats and cheeses that came pre-packaged. I picked up some Vermont Cheddar, some Boar’s Head deli mustard and a package of Boar’s Head bacon. We cooked up some bacon and made some BLTs. It has been a long time since I have had a BLT and it was fantastic. I was very impressed with the selection of meats and cheeses that Boar’s Head offers. There are packaged salami and peperoni that would make a delicious appetizer tray this Thanksgiving. They have a very large assortment of cheeses. You could pick a few and add it to the appetizer tray. Even if you aren’t very crafty, use this wreath as inspiration and create your own version. a V-slit in the bottom of the cucumber as pictured. ribbons at the top center, placing over the turkey. the top of the wreath. Add fresh sprigs of rosemary. Sprinkle overall with the roasted peppers. This product review was made possible by Boar’s Head. I was not compensated for this review other than a product sample. All opinions are 100% mine. First of all I love the design of your site, it is really cute! Second of all I love this presentation it is delicious looking 😉 boar’s head is the best!